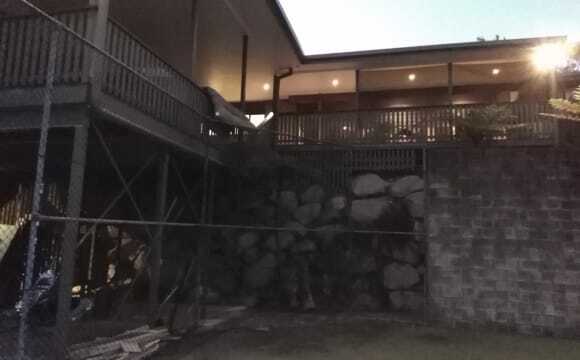 This place has a very big balcony and is great for entertaining. Also a 5 minute walk from the bus stop on the main road. Full air conditioning throughout the house, open living with plenty of space, balcony with lounges for relaxing, big doors that opens up to the outside. Small courtyard. Three story with 5 townhouses in a row. 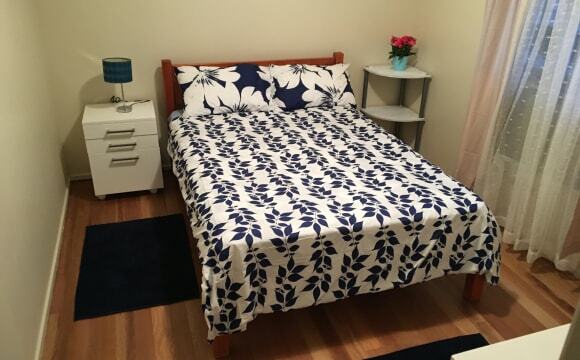 ALL FEMALE house....1 x lovely large private room available in great location just 2 mins walk to Westfield Carindale shopping centre and bus station. Buses 200, 210, 202, 203, 204, 206, 208, 209, 212, 215, 217, 222, 225, 242, 250, 270, 177, 183, 590, 598, 599. Night link bus service also. 209 goes direct to UQ St. Lucia. Suit QUT, Southbank Tafe. The room, fully furnished with Bed, desk, ceiling fan and large wardrobe space and tall boy dressing table. 2 bathrooms. modern well equipped kitchen. Includes 1000 gig Telstra wifi Internet, weekly cleaner, all bills. Other housemates are great girls who study and work. Please come to inspect the room at anytime. Catch a bus to Carindale Bus interchange, and I can meet you and walk you across to the house. All Bills included, Weekly cleaner, unlimited internet included. Great value at only $160 per week including everything. Safe and secure with keyed entry only. Girls only house. **BILLS INCLUDED** I have one furnished room with a very comfortable queen bed and bathroom all to yourself! It is available in a brick townhouse, 3 bedroom, 2 bathrooms and a powder room downstairs. There is a private backyard which keeps cool in the summer months. The townhouse is fully air-conditioned and is within walking distance (10 minutes) to Westfield Carindale or Whites Hill shopping complex. There are direct buses into the city 2 minutes from the front door (202, 203, 205 &amp; 208) which run approx every 5 minutes during peak (10 minutes outside of peak) traveling into the city and Valley with a travel time of approximately 15-20 minutes. It is located within a 5 minute drive to Whites Hill shopping complex (Camp Hill) which consists of some boutique shops as well as the essentials, such as; Woolworths, chemist, 24/7 gym, a deli, hairdressers, beauty therapist, Baskin and Robins (in case you have a sweet tooth), butcher, newsagent and a few restaurants to choose from such as Thai, Pizza Capers, Grill'd, Dumplings, and Vietnamese as well as a few Cafes for your morning caffeine fix. There is an IGA, bottle shop, bakery and Indian restaurant within 5 minutes walk from the property. You will be spoilt for choice!! Minutes to shops and restaurants. Major bus line 5 minutes walk. Fully air-conditioned. 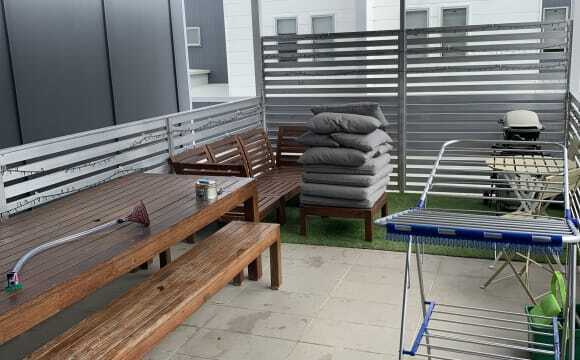 clean tiday beautiful townhouse, close to busway, close to shops. We are looking for a 3rd person to fill a room in our cute three bedroom townhouse. It is a large enough space for us all to enjoy our time together but also have some time to ourselves as well. We love cooking, listening to music and having a drink on the weekends. Your bedroom is located next to Jacob's and you will be sharing a balcony with french doors. 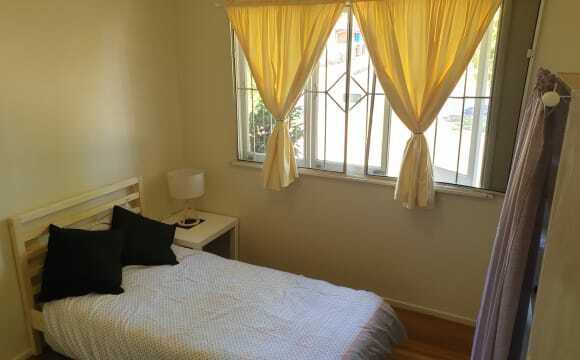 The house is located 15mins from the city and 5min walk to Carindale shopping centre. It is right off Old Cleveland Road but is a quiet area with public transport close by. We have a back padio which is good for catching up with a few mates over some beers and wine. Sparkling NEW construction. Room available in a large new house with multiple living areas . Couples welcome with additional charge. Close to bus stop. Bills Included Just 15 mins to the city, 3 mins to Westfield Carindale and 2 mins to the local Woolworths. Please message or call Paris to discuss. Within 10 mintues to Carindale Shopping Centre, major bus stop, restaurants and movies. NBN internet, electricity, water included (obviously fair use applies). 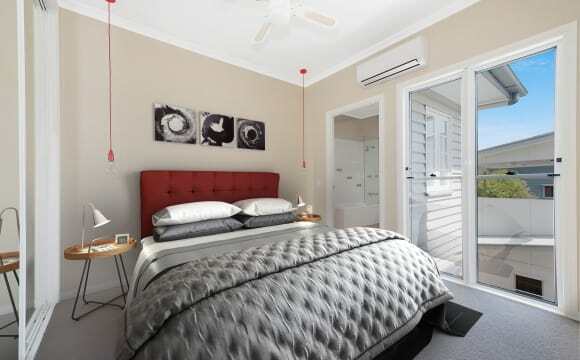 The bedroom will comfortably fit a queen size bed and one bed-side table and has a built-in wardrobe. A single lock-up garage is also on offer for an additional $15 per week. There is a large patio out the front and a small patio at the back of the property for relaxing and socialising. The unit is a couple hundred metres from Old Cleveland Rd with excellent transport options. A massive park is only a minute’s walk away with tennis and basketball courts as well as cricket nets. 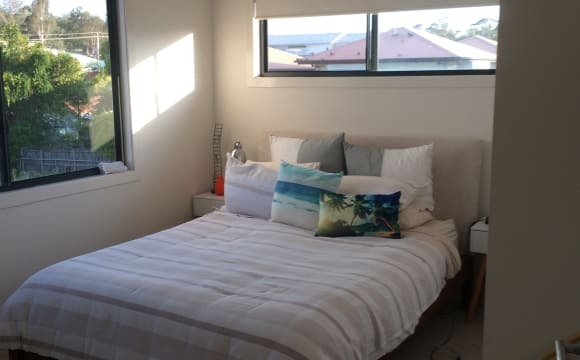 It’s a great location - only 8 km to the city and 3 km to the Gateway motorway. And of course, there are cafes within walking distance! Hey all! We are looking for someone who is a student or a young professional. The house is in a fantastic position, handy to all amenities! 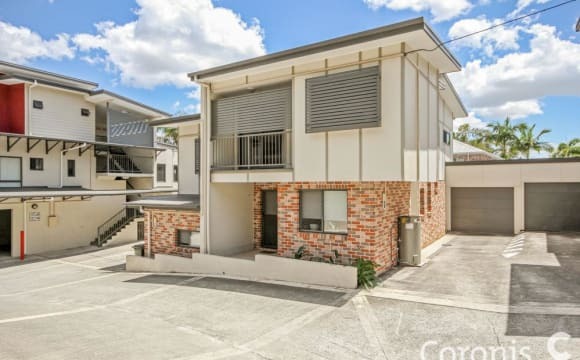 It takes approximately 7 minutes walking distance to Westfield Carindale Shopping Centre where it is also a regional transport hub with many buses to the Brisbane CBD, UQ, Griffith Uni. The rent includes unlimited high-speed cable wifi, electricity and water bill! The rooms available are fairly massive, furnished (includes a study table and a chair which are not shown in the pictures) and are in a story with a shared bathroom. If you would like to know more, don't hesitate to send a message! Unfurnished double bedroom available in a modern, spacious, 3 bedroom 2.5 bathroom town home to share with 1 other (and a parrot). You can take your pick from the 2 bedrooms - the other bedroom will be kept spare and used as an office. As the property has a separate toilet downstairs for visitors to use you will also get the run of of the main bathroom (except on the rare occasion where guests are staying from out of town). All bedrooms are air conditioned as well as the downstairs living area. Outside, in the garden (don't worry someone comes to do the gardening every couple of weeks), the covered outdoor area is the perfect spot for an after work drink or casual drinks on the weekend. Easy access to public transport and shops and the Carina library is just around the corner too (if you're that way inclined). Westfield Carindale is 5 minutes away and the Clem Jones Sports Centre is in easy walking distance. A good size three bedroom townhouse. Toilet and living area downstairs and a shared bathroom for two upstairs with an ensuite attached to the master bedroom. Fully air-conditioned downstairs and in the master bedroom. Internet is unlimited and at a very cheap price, paid on a monthly basis. Household is run on gas for hot water and stove top. Bus stop is a quick 2min walk across to Old Cleveland road which has all buses covering the city, western and eastern suburbs coming at regular 10minute intervals. Perfect location to access public transport. 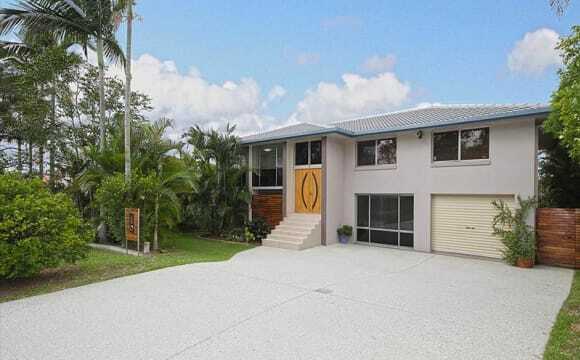 Our house is a beautiful Queenslander in a very peaceful part of Camp Hill. Very close to a variety of cafes and restaurants, only 15 mins to city. Bus stop at the end of the road! We have Netflix and Stan, we love a good movie night! Modern Townhouse home in a great location, local sports club, gym and pool in walking distance. Excellent bus line and 15 minutes drive from the CBD. You will have your own room with the main bathroom (all bedrooms are upstairs) Its a quiet complex of only 10 - no security gates. The Townhouse is on the road front with entry off the road. Great location, with plenty of bus stop options to the city on Old Cleveland Rd or Stanley Rd, minutes away from Westfield Carindale and an IGA just down the road. Our townhouse is a bit older but our rent is so cheap as we’ve been in our place for 5+ years and the owner is a family friend! Room comes unfurnished but has an in-built wardrobe, ceiling fan and a decent amount of space. The room can fit a Queen Bed, bookcase and desk and you will share a large bathroom with one other girl. The rest of the house comes furnished with appliances and we have some storage space in the garage. Please note that internet and electricity bills are NOT included in the weekly rent. - Internet is $15 paid monthly - Electricity is normally around $100 - $120 each every 3 months. Bond is 4 weeks rent ($429) + first 2 weeks ($216) due upon moving in. Your name will then be added to RTA bond agreement through the real estate agent. New nicely furnished and decorated town house close to public transport and shops. 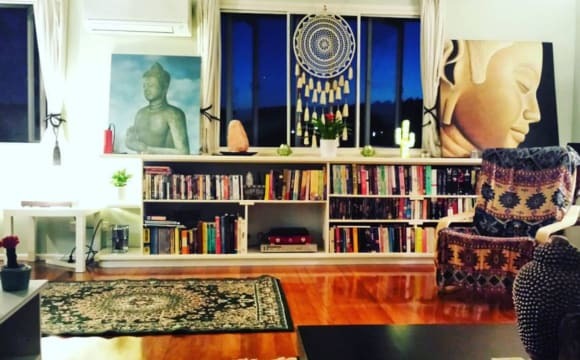 2 friendly respectful room mates that are looking forward to meeting you! Lovely old QLDer in a great neighborhood - can walk to anything you need whilst it is also quiet. Transport to the city across the road. Space for rent is two rooms - one a bedroom and one that could be your own living space/office/study etc. Rooms are near each other with your own bathroom so very private. One room has air conditioning, the other a ceiling fan. Shared living space of the kitchen and main living room area. 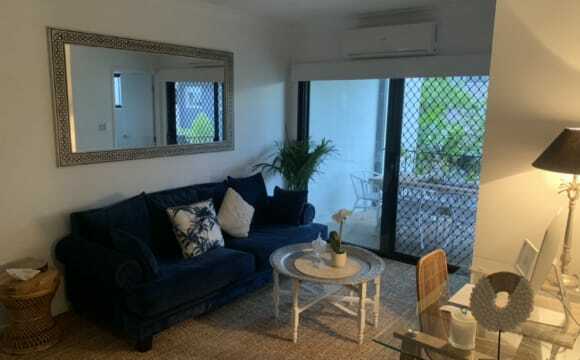 STUNNING CARINDALE ROOM FOR RENT I have a room in this beautiful resort style home available for immediate rent. The large bedroom has a built-in wardrobe, queen size bed, TV and a desk. The home has a nice pool with a great outdoor area. The home is cozy and has a friendly atmosphere. The rent is $220/week and includes all bills except for Internet. The house is conveniently located just 10 minute walk from Westfield Carindale Shopping Centre and there are bus stops 50m away. There is plenty of on street parking available as well. The available room is a single room with built in storage and can comfortably fit a double bed. You will be sharing a bathroom with only one other person. I am renting out the rooms individually - there is no common lease. The place: 3 bedroom, 2.5 bathroom, 2-story townhouse located at the back of a small, quiet townhouse complex in Camp Hill. 1 lock-up garage (electric door). 3 minute walk to well-serviced bus stop on Old Cleveland Rd. All bedrooms are located upstairs and have air-conditioning and ceiling fans. Air-con also in downstairs living and dining area. Fully furnished spacious living and dining area, and fully equipped kitchen. Separate laundry room with washing machine, and third toilet off laundry. Outdoor private patio off living room - great for BBQs. Unlimited Internet (NBN) and water bill are included in the rent. Electricity bill is split between residents quarterly. From the nearby bus stop its only 15min into the city or 10min to Carindale Westfield on one of a number of regular and express buses that pass through. Quiet street with plenty of on-street parking. Own bathroom separate toilet Lockup garage space Carpeted bedroom with ceiling fan Shared living/kitchen/laundry aircon in main living area On-site manager (no real estate involved) who is great to deal with Pool and function room facilities bbq area onsite Weight set and gym bike setup in garage Situated in peaceful Carindale Reserve (110 Scrub Rb, Carindale), this quiet townhouse complex backs onto Belmont Reserve and offers a serene escape just 20 minutes from the CBD and 3 minutes from Westfield Carindale, with plenty of public transport options close by. Would suit a male or female professional or student. You will be sharing with one other male occupant, 33, full-time worker (Mon-Fri) who is respectful and easy-going. Smoking allowed outside only. Small pet eg cat considered. Looking for someone who cleans up after themselves and respects shared areas.